The United States said Monday it opposes a move by Israel to freeze the transfer of tax revenues to the Palestinian Authority in retaliation for its bid to join the International Criminal Court, AFP reports Monday. 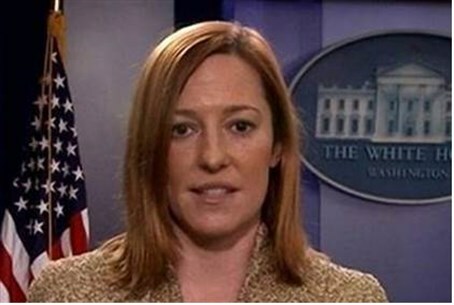 "This step is one that raises tensions as others do," State Department spokeswoman Jen Psaki said, referring to the freeze on revenue transfers to the Palestinian Authority. The Palestinian Authority (PA) formally presented a request to the United Nations on Friday to join the ICC, in a move firmly opposed by both Israel and the United States. Israel's freezing funds apportioned to the PA has been used as a political tactic before, as the PA is already struggling to dig itself out of at least $4.8 billion in debt. The PA regularly fails to stand by its agreements, and owes Israel staggering sums, including over 1.4 billion shekels (over $360 million) in unpaid electric bills. The PA has responded with intransigence, with onetime Palestinian Arab negotiator Saeb Erekat claiming to AFP Saturday that the move itself constitutes a "war crime."